Cloud and managed hosting specialist UKFast says it created 100 new jobs in 2016 despite the uncertainty created by the EU referendum result. The firm is enjoying its 17th consecutive year of growth and in October doubled the footprint of its Manchester headquarters with the acquisition of a further 40,000 sq ft property adjacent to its current campus in Manchester Science Park. 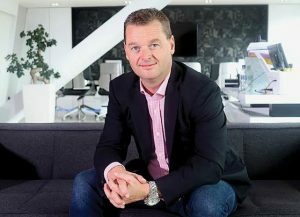 CEO Lawrence Jones MBE was a prominent Remain campaigner but says that despite unanswered questions surrounding the triggering of Article 50, his firm and Manchester’s digital economy are well placed to adapt. Jones said: “We sell to thousands of small businesses as well as a significant number of large enterprises, so we get a picture early on of what the landscape looks like. UK business doesn’t seem to be slowing down. I’d say that there’s a real determination in the British boardroom to succeed, whatever our relationship with Europe looks like. “Stirling has taken a dip and there’s suddenly a lot of foreign investment coming through to snap up businesses and property, but that investment should tell people that confidence in Britain for the long term is actually incredibly high. Our job is to focus on the positives and continue to support our clients. We grew through the last recession and we’ve doubled in size in the last three years. UKFast won’t stop growing and investing. UKFast now has a headcount of 350 across its associated brands and has a current run-rate of £42m after posting a turnover of £34.3m in 2015. “My focus is on developing and growing the Manchester economy, the digital economy and UKFast just as much as if we had voted to remain," Jones added. "We are agile enough to not be badly affected and are taking steps to reduce any negative impact that may occur."